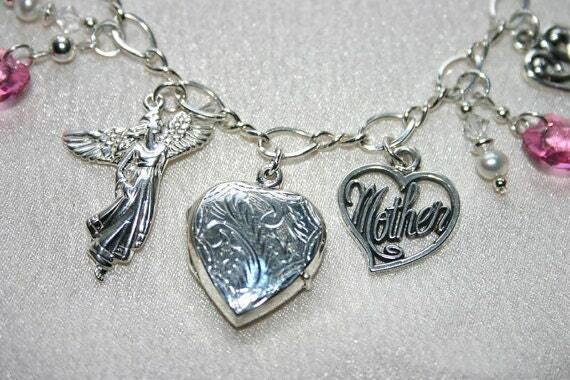 This is my Sterling Silver Charm Bracelet "Guardian Angel of Mothers"...the locket holds two photos. The mother heart represents your love for her and the puffed hearts represents her love of you and the world around her. 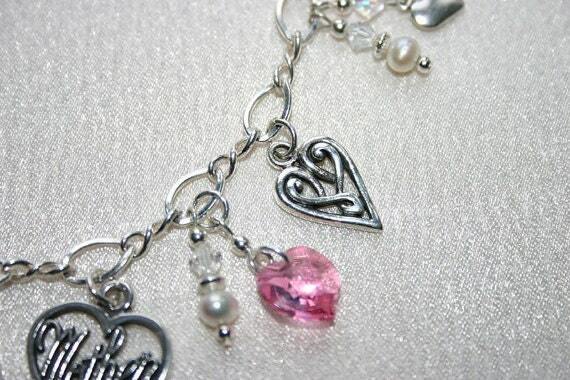 The pretty pink Swarovski crystal hears and the cultured pearls represent her gentle nature. Of course the angel is to guard over her! 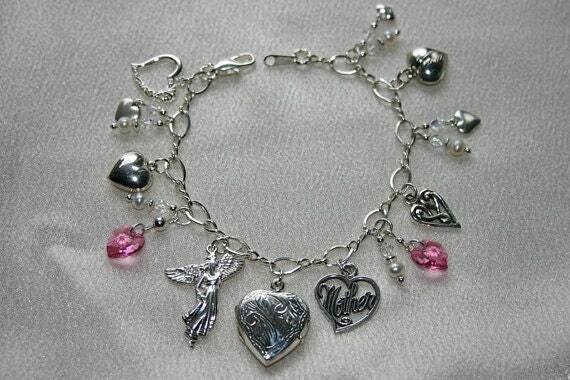 The focus of the bracelet is the beautiful .925 sterling silver angel (1 inch long). 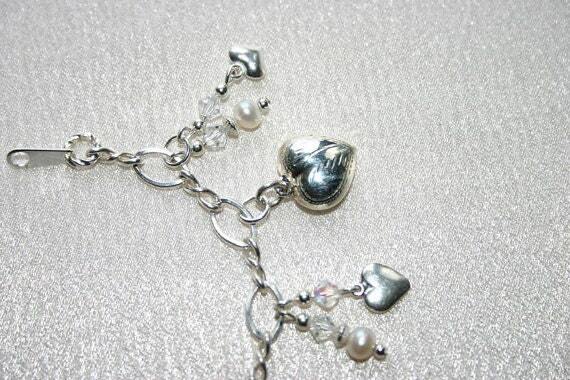 There's (10) .925 sterling silver charms including the angel charm (angel, mother, locket, 2 puff hearts, cut-work heart, open heart, 3 dainty hearts). The beads are pink aurora borealis Swarovski crystals. The findings and bracelet are sterling silver (lobster claw clasp). The bracelet was made in Italy; it measures 7.75 inches long. The bracelet weighs .6 ounces (18 grams) It will arrive in a white organza gift bag with silver stars on it as well as a nice gift box. 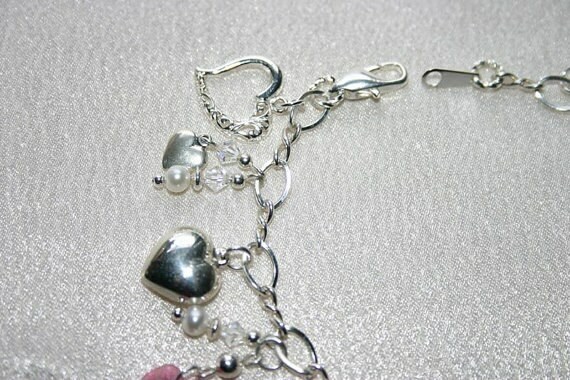 ***I've searched for the finest sterling charms and they're very intricate and pretty! ***Although I'll be creating more "Guardian Angel of Mothers" Bracelets...there will be no two exactly alike!